A new book published in July 2017; Robert S. Dutch, “Let there be light!” Nuclear Energy: A Christian Case, Eugene, Oregon: Wipf & Stock, 2017 addresses the nuclear energy debate in the light of our need to address Greenhouse Gas (GHG) emissions. This text is a wide-ranging, comprehensive and informative exploration of nuclear energy for the non-specialist. There is an open examination of the pros and cons of the nuclear power industry. The author spent almost all his working life within the nuclear power industry and at times this text reads as a public relations document for that industry. However, a great deal of space is devoted to the arguments against and the associated risks within the industry. 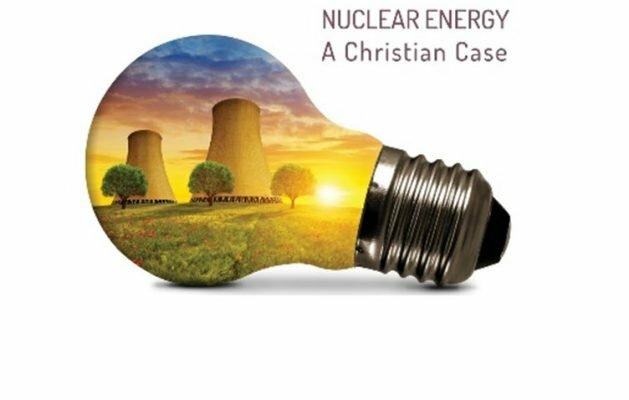 After his scientific work in nuclear power Dutch was course administrator and tutor in New Testament Greek at Bristol Baptist College, hence his desire to present a Christian case for nuclear energy. Dutch emphasises the positive, acknowledges the negative, and advocates the key role of a nuclear source of electricity in the fight against anthropogenic climate change. There is a detailed exploration of our nuclear universe; the risks and benefits of nuclear energy; and the concerns and questions raised by the general public. He notes that the key questions involve: safety, radioactive waste management, the impact of radioactive discharges on people and the environment, and security of the plants and radioactive materials. Dutch quotes from a survey conducted in 2015 by the Institution of Mechanical Engineers which revealed that 56% of those questioned supported nuclear power generation. He believes that we need both nuclear and renewables in our attempt to avoid catastrophic climate change. We can observe that while nuclear power produces few direct carbon dioxide emissions, carbon dioxide emissions do result from mining of ore, construction and decommissioning of power stations. In common with all heat engines nuclear generation does reject large amounts of heat energy. It also carries the environmental concerns of radioactive leakage and waste disposal. As many of the UK’s nuclear power stations reach the end of their lives the UK government has given the go ahead for the first new power station for many years, Hinkley Point C in Somerset. There has been a great deal of discussion over the cost and therefore value of this power station, which will come on line in 2023 or shortly after. Dutch observes that the UK justification for nuclear power involves: securing energy supplies, meeting low carbon objectives, and economic benefits in terms of jobs. While there are risks of exposure to radioactive materials, leaks, the cost of decommissioning and the removal of waste, the author states that the benefits have been concluded to outweigh the detriments (Note 1). Currently 19% of UK electricity is produced by nuclear power stations, which represents 48% of low carbon sources of electricity. The House of Lords Science and Technology Committee concluded that to meet the UK commitment of reducing GHG emissions to 80% below 1990 levels by 2050 some 20-38 GW of nuclear power electricity is likely to be needed (Note 2). Hinkley Point C is designed to produce 3.2GW, a mere 10% of this figure. Dutch notes that there is qualified cross-party support for nuclear energy, which also comes from the TUC and even from some leading environment commentators such as Mark Lynas and George Monbiot. In addition he states that Sir John Houghton (former chair of the IPCC scientific working party) has suggested that nuclear power is important for the reduction of Carbon dioxide emissions, and believes that the new generation of reactors address the concerns of waste disposal and accidents (Note 3). Dutch concludes his discussion with a Christian approach to nuclear power. He believes that the earth is important to God and that human beings are part of the community of creation. A nuclear universe with radioactive elements is part of God’s creation, and nuclear energy production has an important role in the reduction of Greenhouse Gases. He notes that while the Church is clear in its support of a low carbon economy it is largely silent about the issue of nuclear power. He believes that this is because church leaders are not equipped to guide their congregations about nuclear energy. This is an immediate and easy to read introduction to the subject, which will greatly help Christian leaders to engage with the debate. Note 1: The author cites decisions made in response to applications relating to new reactor types made under the Justification of Practices involving Ionising Radiation Regulations (2004). Note 2: House of Lords Science and Technology Committee, Nuclear Research and Development Capabilities. Third Report of Session 2010-2012, London: TSO. Note 3: The author bases this on Houghton’s comments in ‘The Changing Global Climate: Evidence, Impacts, Adaption and Abatement’, in Keeping God’s Earth: The Global Environment in Biblical Perspective, edited by Noah J Toly & Daniel I Block, 187-215, Nottingham: Apollos, 2010, p211; and John Houghton & Gill Tavner, In the Eye of the Storm: the Autobiography of Sir John Houghton, Oxford: Lion, 2013, pp.277, 279.